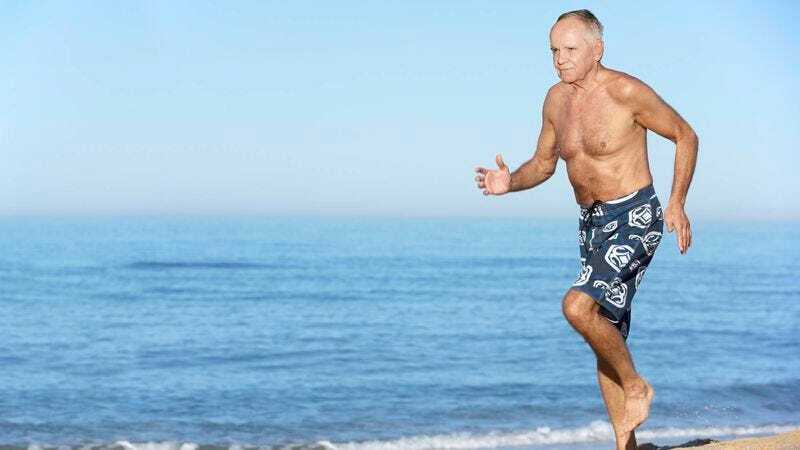 CABO SAN LUCAS—Acclaimed novelist Cormac McCarthy, 79, wowed Cabo beachgoers Wednesday after debuting his sizzling new summer physique in a light-blue Vilebrequin swimsuit that showed off at least 20 extra pounds of lean muscle. “I got into this routine where I was just hitting the gym every morning, writing some of my novel in the afternoon, and then hitting the gym again later that day, and it paid off,” the Pulitzer Prize–winning author of Blood Meridian told reporters as he massaged his washboard abs with deep tanning oil. “I didn’t go in for any of that carve-and-starve stuff, so I just upped my cardio, did two-a-days, and took an Isagenix whey protein shake every morning. Feels good to look good, you know?” At press time, the prose master was performing a surfside workout sequence of lunges and squat thrusts.